Apple introduced a new social network in the latest version of iTunes called Ping that allows you to "follow your favorite artists and friends to discover the music they're talking about." If you are a music junkie that does not use Facebook you will love the service, for everyone else, almost all of the features already exist in the Facebook world. Although using Facebook may not be as elegant as using Ping, it is worth the few extra clicks to avoid another separate list of friends and likes. If you were curious and signed up for Ping, don't worry it can be disabled with a few clicks. Click on the Store menu bar item and select View My Account. Type in your password and click View Account. On the Apple Account Information page click the Turn Off button in the Ping section. Click Turn Off again on the confirmation screen. Wrap up the change by clicking Done on the bottom of the Apple Account Info page. 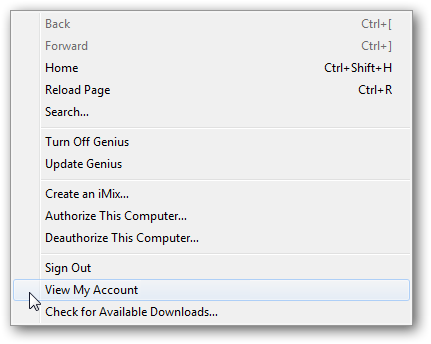 Tip: If you don't like the Ping buttons all over the iTunes interface, check out this article.